This video is designed to allow anyone to practice yoga, either by simply focusing on key parts of the body, or by doing a full-body practice from start to finish. Additionally, viewers can learn about each part of the body they are interested in, including the location and function of each muscle group, how to palpate it, and how to stretch and strengthen it. The practice of yoga can be beneficial for anyone looking to increase flexibility and range of motion, cultivate strength, develop healthy postural and movement patterns, and increase a sense of well-being and mindfulness, among myriad other benefits. 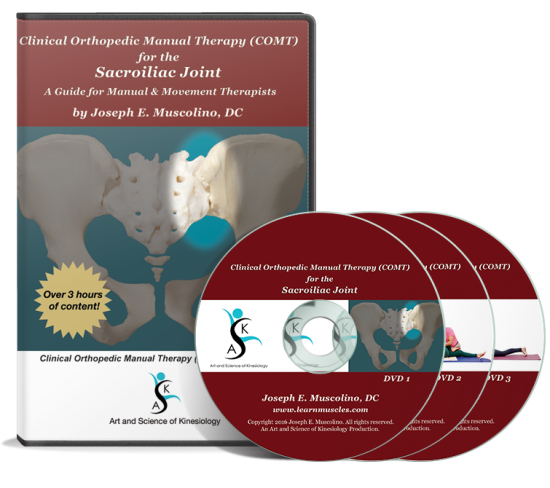 This DVD set is a must for yoga instructors and practitioners, massage therapists, structural integration practitioners, athletic trainers, physical and occupational therapists, chiropractic and osteopathic physicians. Any yoga practitioner or professional, from beginner to advanced, who wants to learn the connection between the anatomy of the human body and how the body moves through yoga poses will find this DVD worthwhile. Jeanine and Joe teach and explain these techniques simply, clearly, and thoroughly!